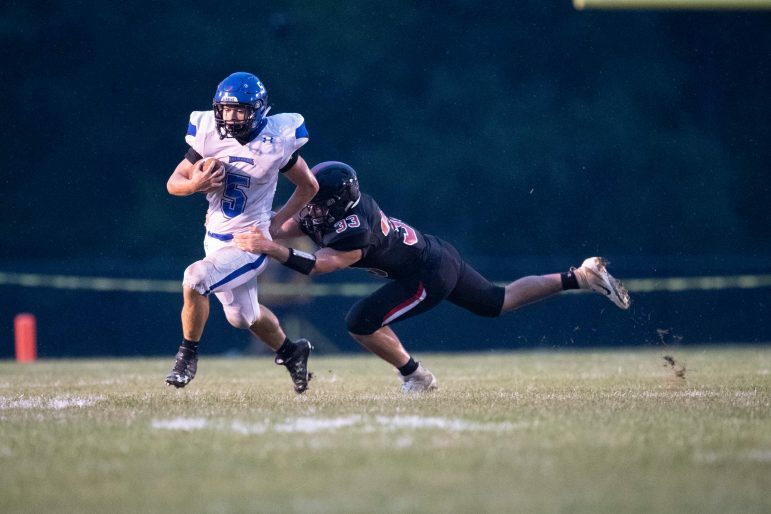 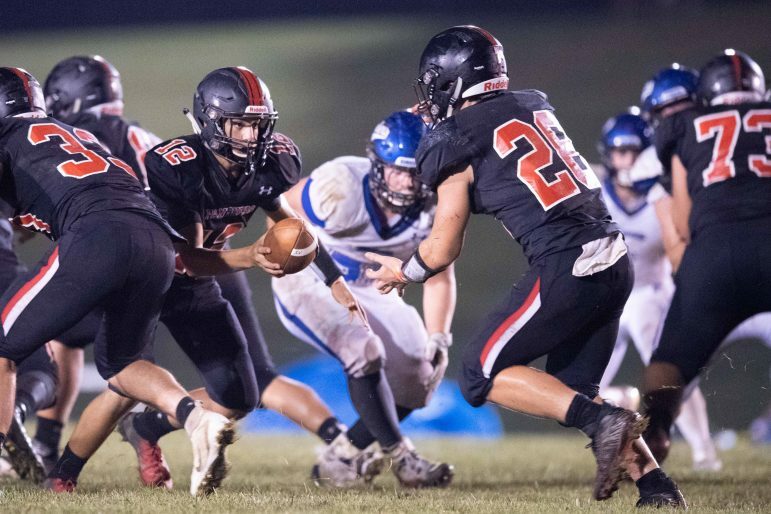 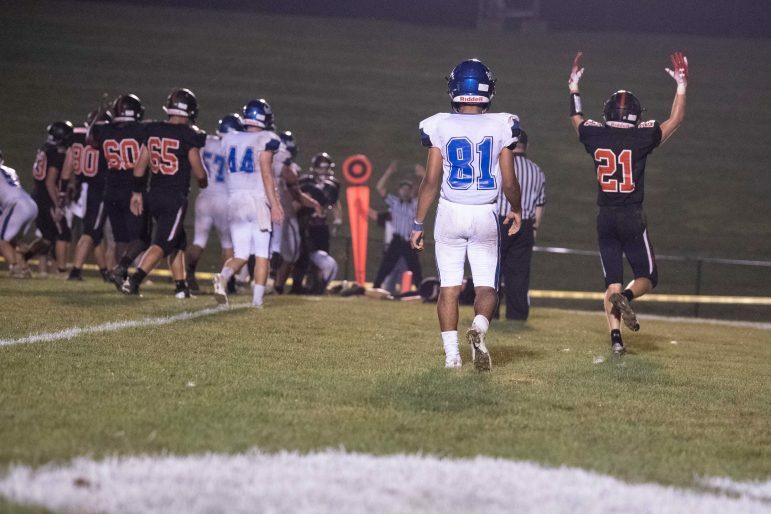 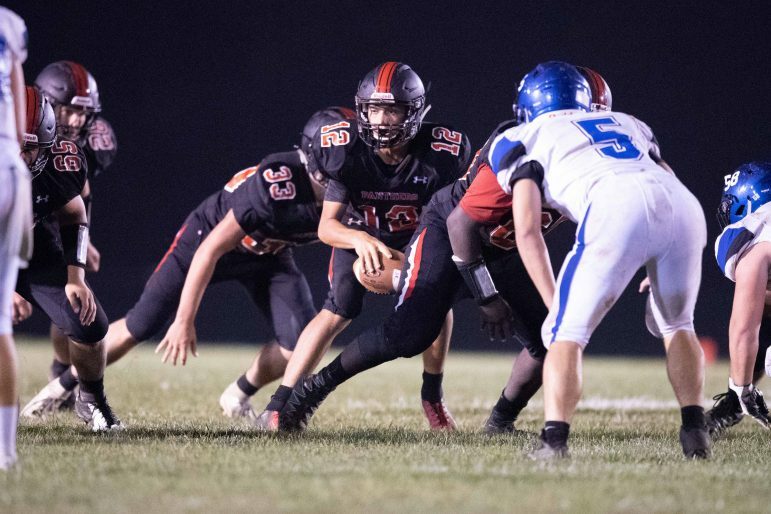 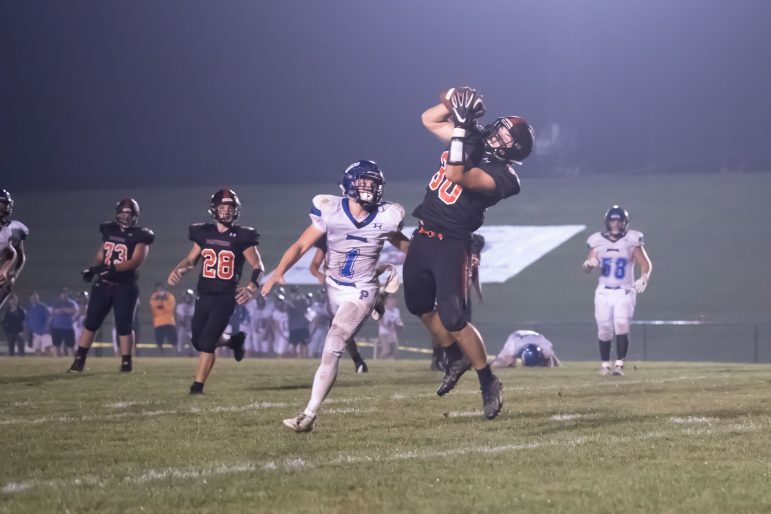 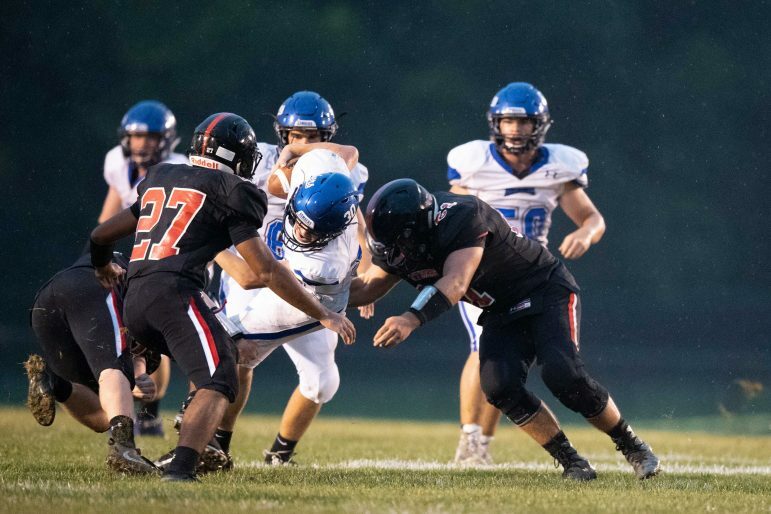 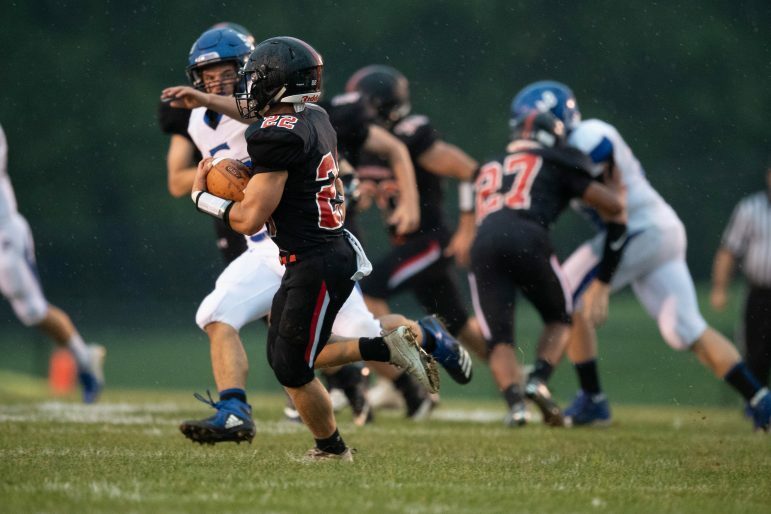 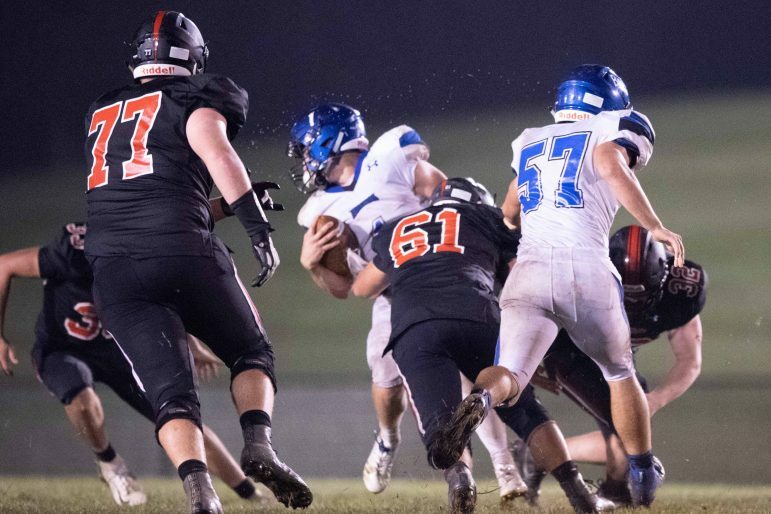 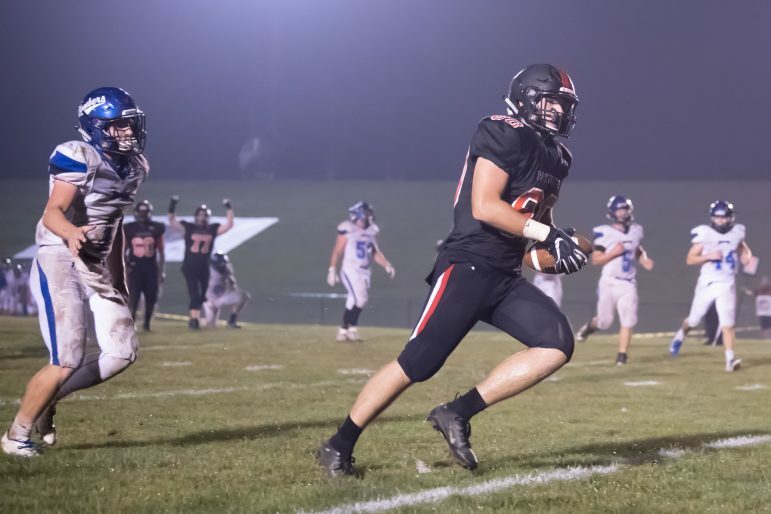 Check out these photos from the Panther football team’s first home game of the season Friday, in which they defeated the Palmerton Blue Bombers 34-26 to extend their record so far to 3-0. 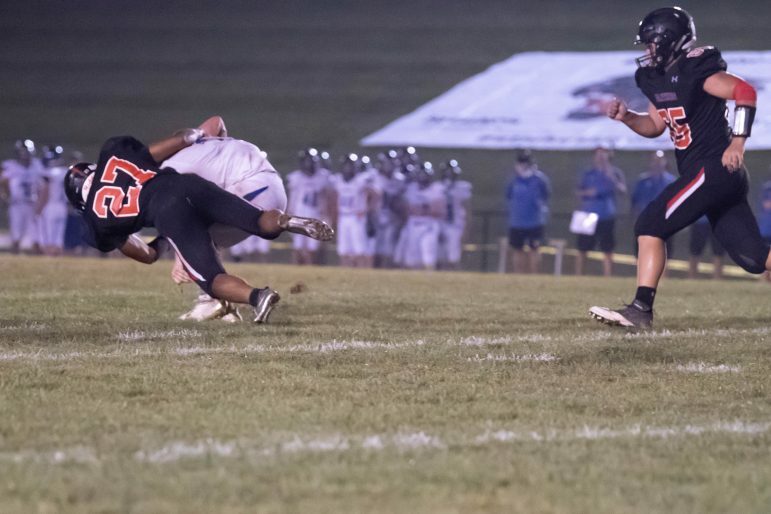 All photos are by Chris Christian. 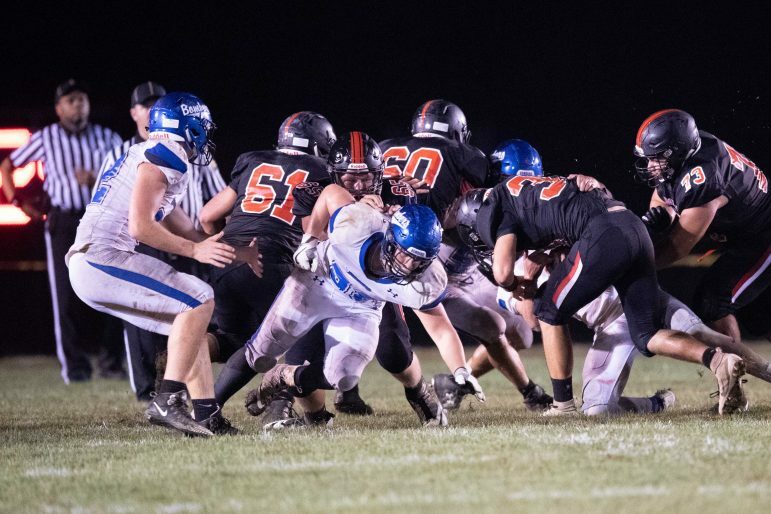 To purchase a print please visit his photography website. 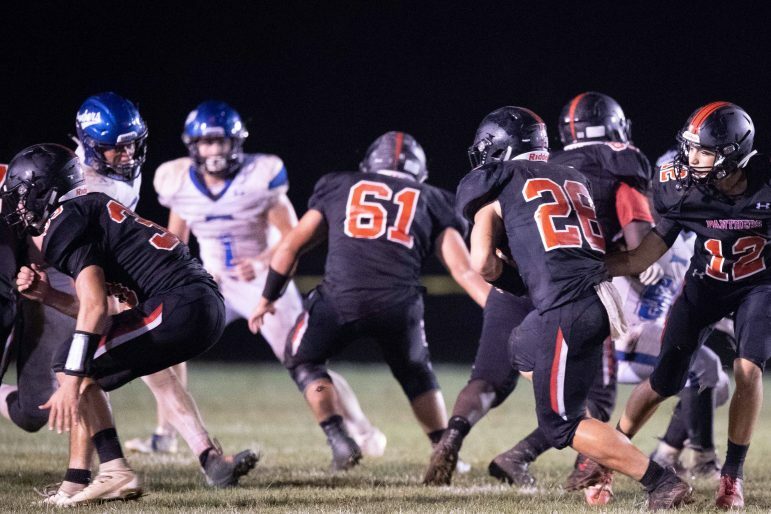 Saucon Valley’s Patrick Morrissey (#80) reels in a Dante Mahaffey touchdown pass. 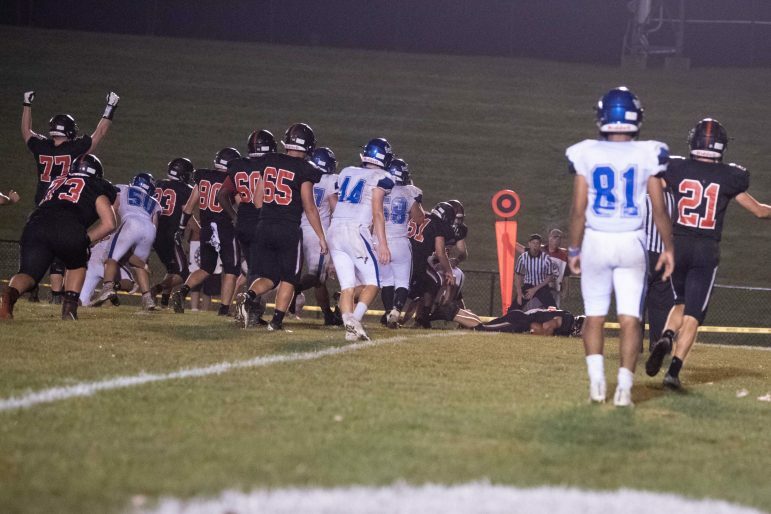 Palmerton’s Andrew Sabo (#5) and his Blue Bomber teammate proved to be a tough out for the Panthers. 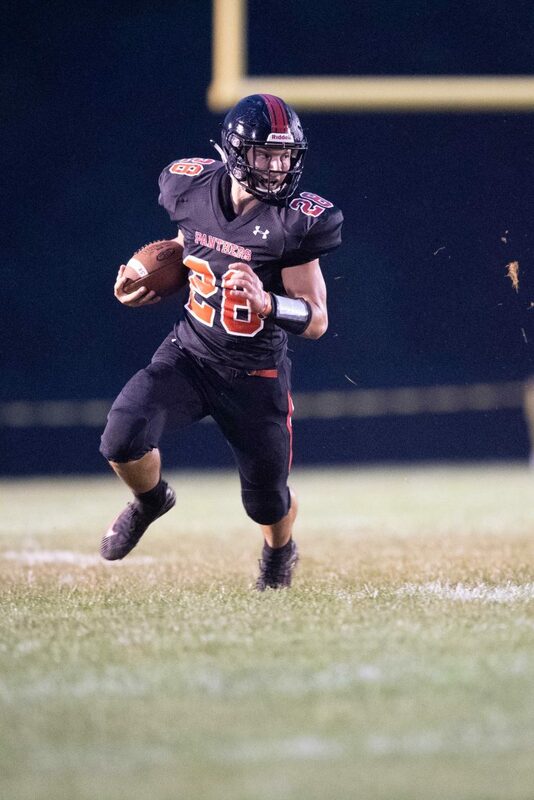 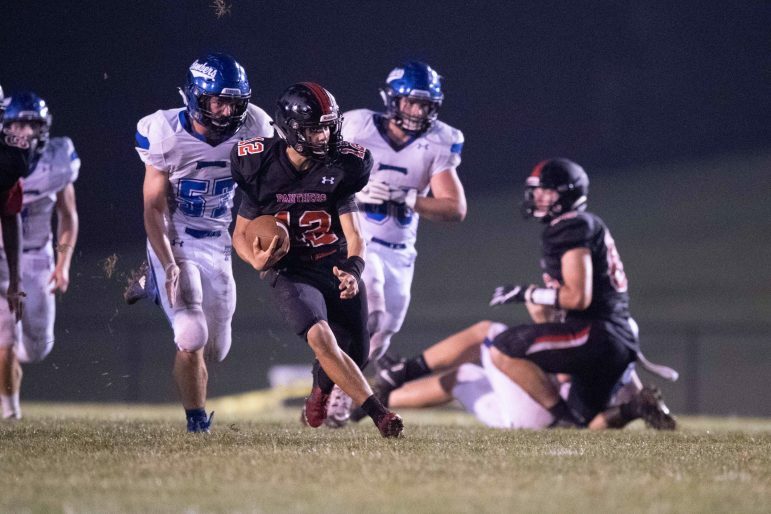 Ian Csicsek had another great night running the football for 205 yards. 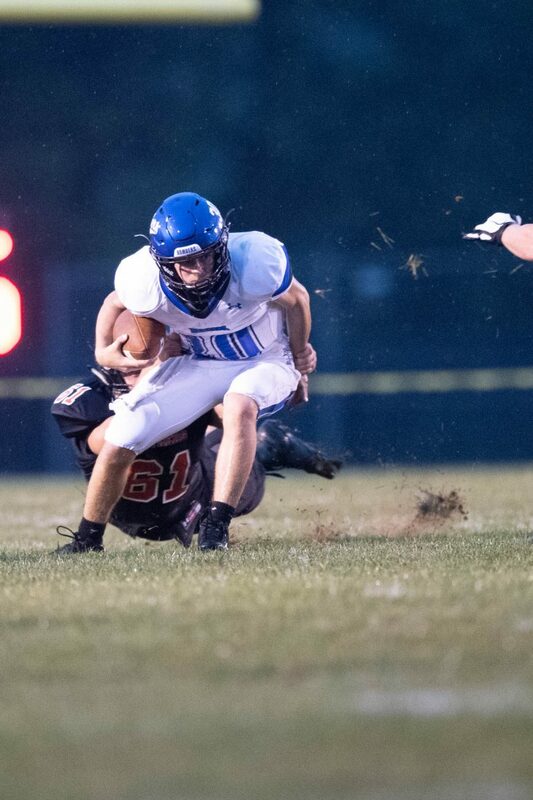 Dante makes his read and keeps on option for a nice gain. 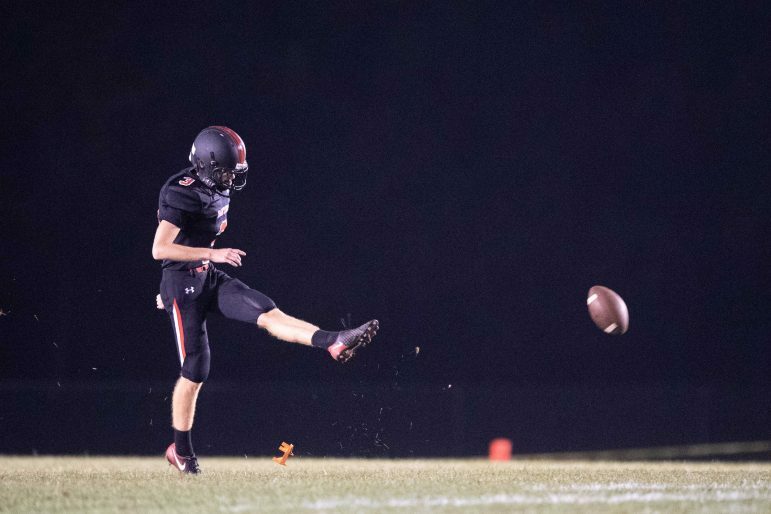 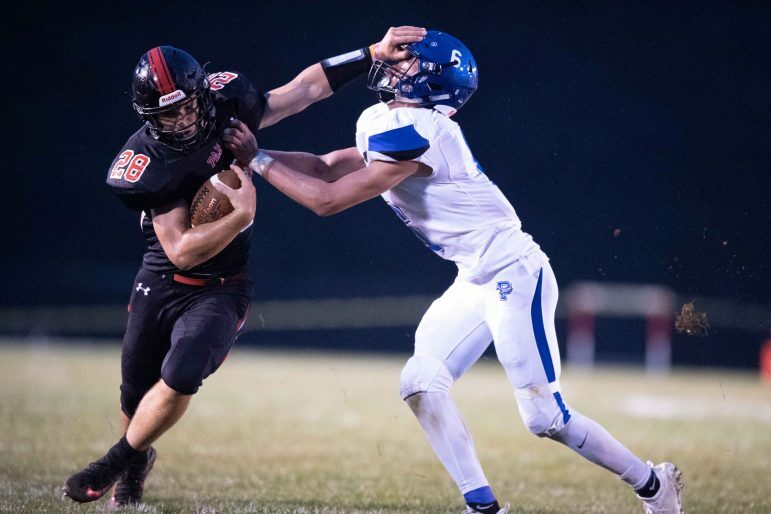 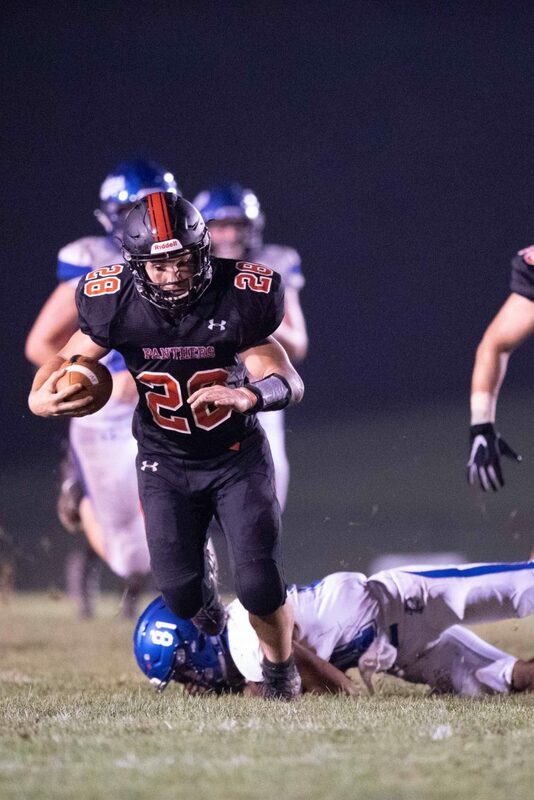 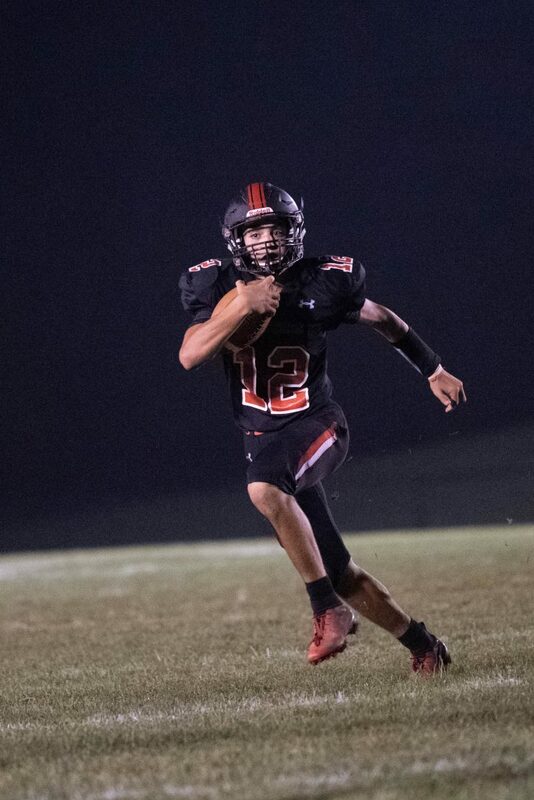 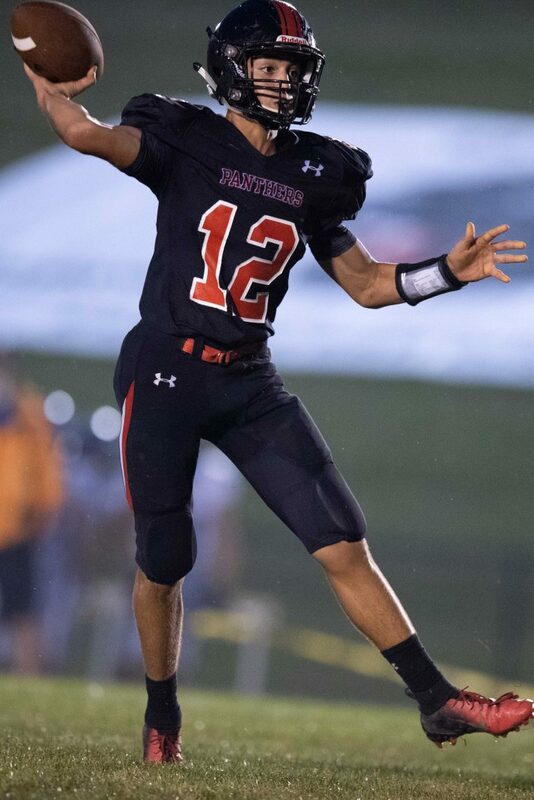 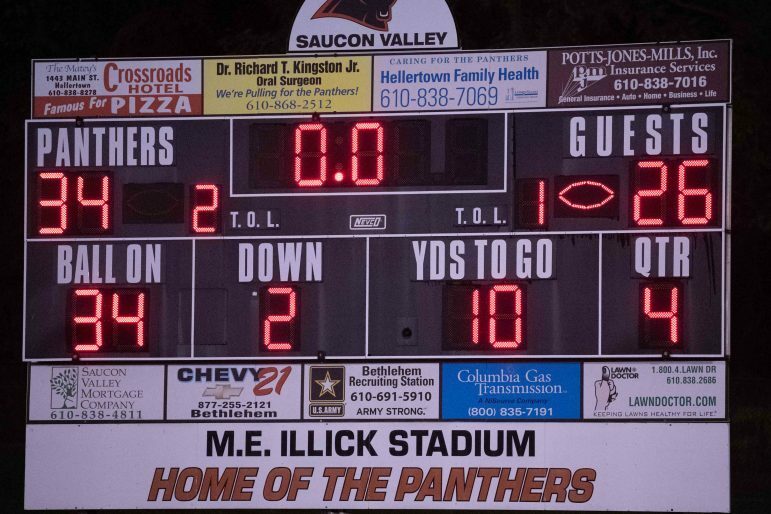 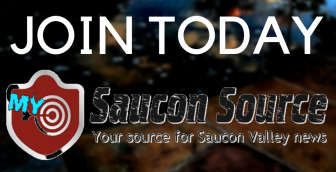 Saucon’s Csicsek was a workhorse carrying 34 times and scoring three touchdowns. 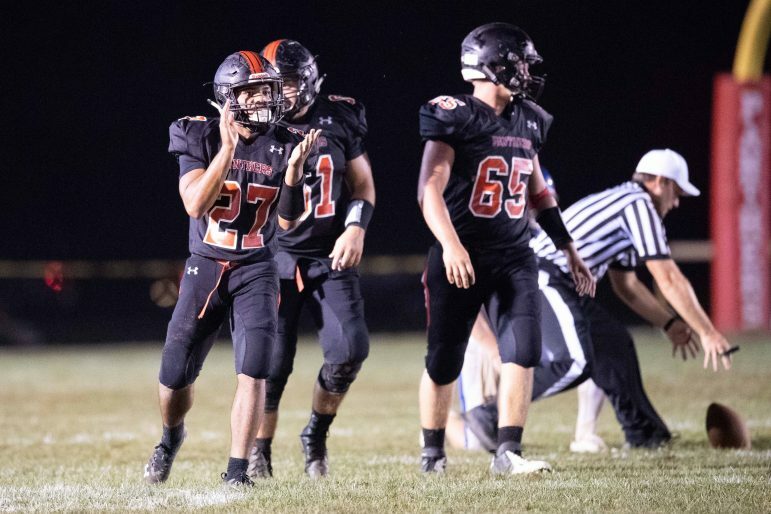 Mahaffey and Csicsek combined their talents to post over 300 yards of offense. 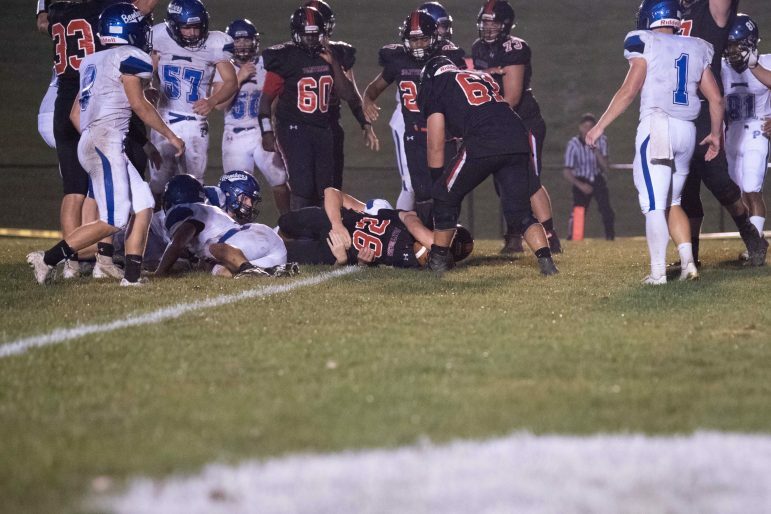 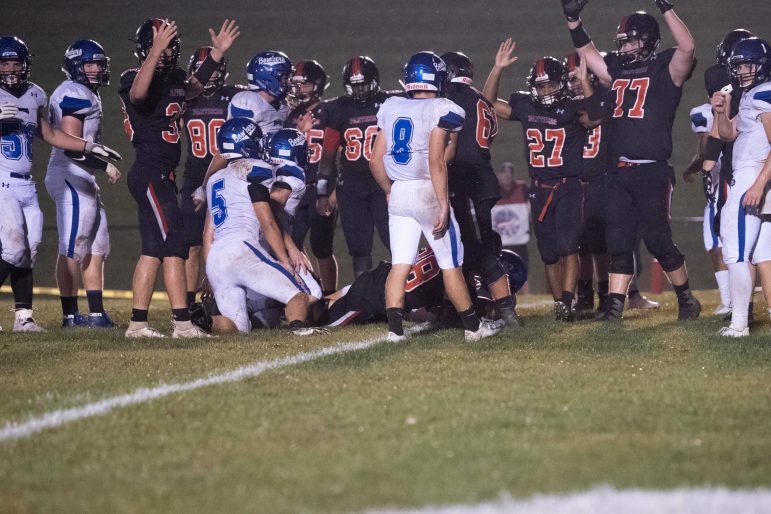 Saucon Valley and Palmerton was a nonstop physical battle.